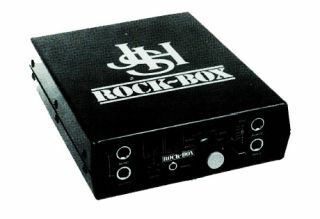 Reviews Revisited: One of the very first 'all-in-one' guitar boxes that allowed for a genuinely silent playing experience, the JHS Rock Box is still whispered about behind hands in venues up and down the land. Here's the conclusion from the review that appeared in the January 1985 issue of Guitarist. "In many respects, this does sound like a Rockman and indeed, it has some advantages, such as the effects loop and fully switchable chorus and delay, but we didn't find the dirty settings quite as satisfying. "The sound in headphones is simply huge. The stereo delay and chorus give the impression of immense size. At very high listening levels, the headphones start to protest a bit. "At a recommended retail price of under a £100 [back in 1985 - Old Spice And Shoulder Pads Ed] the Rock Box offers exceedingly good value for money and its flattering sound tends to motivate one to practise more often and for longer. "The benefits of private practise are also enjoyed by the rest of the player's family in the form of peace and quiet. If little Johnny's Van Halen riffs are getting on your nerves, this could be an ideal present." Want more? Click here to read the review in its entirety.